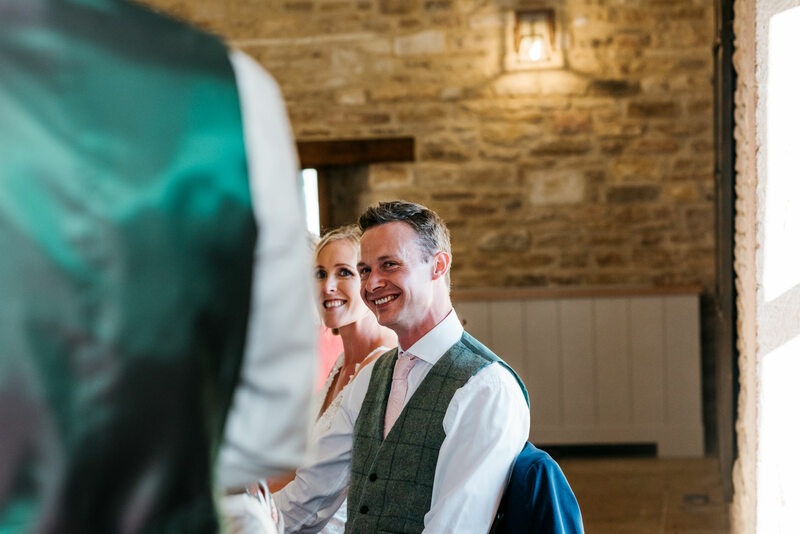 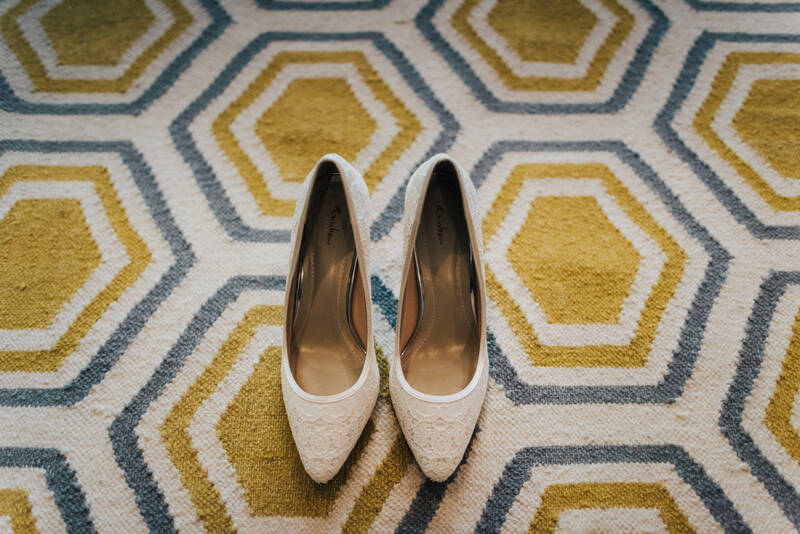 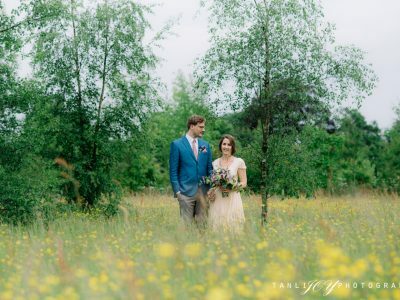 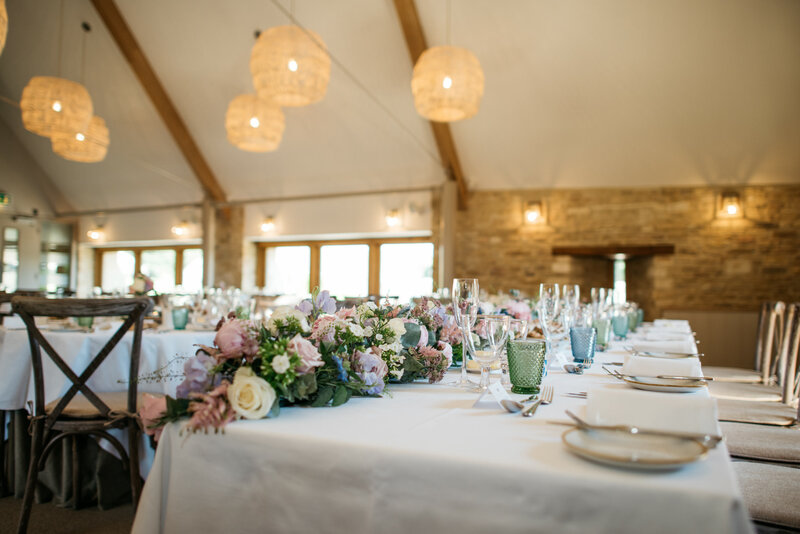 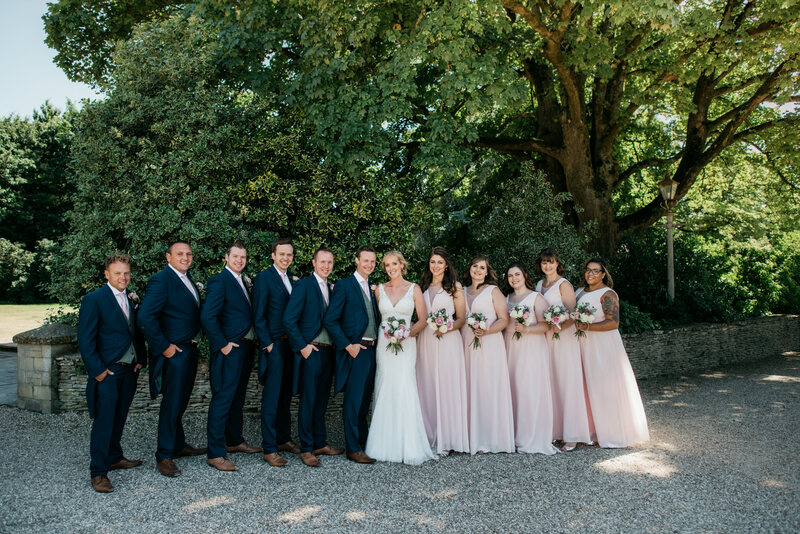 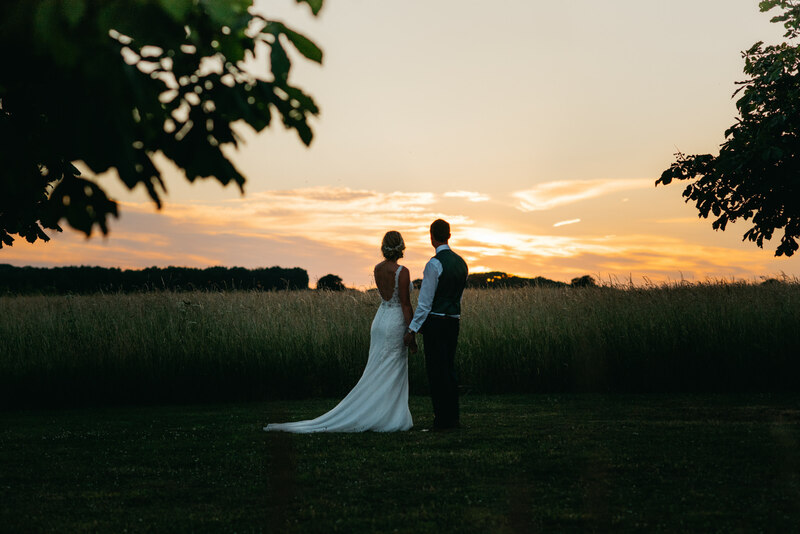 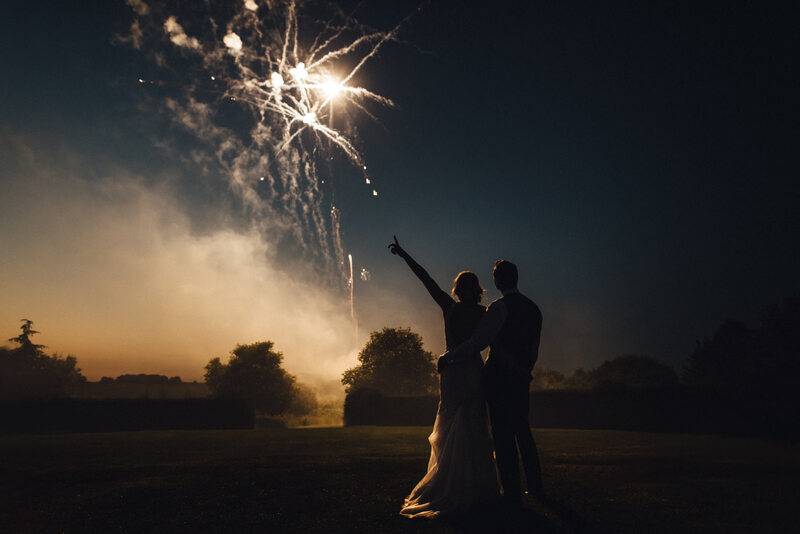 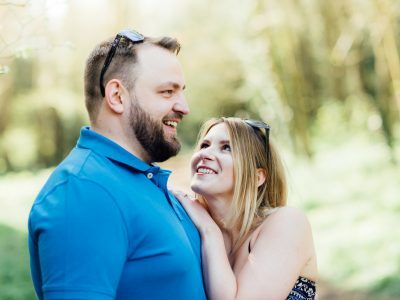 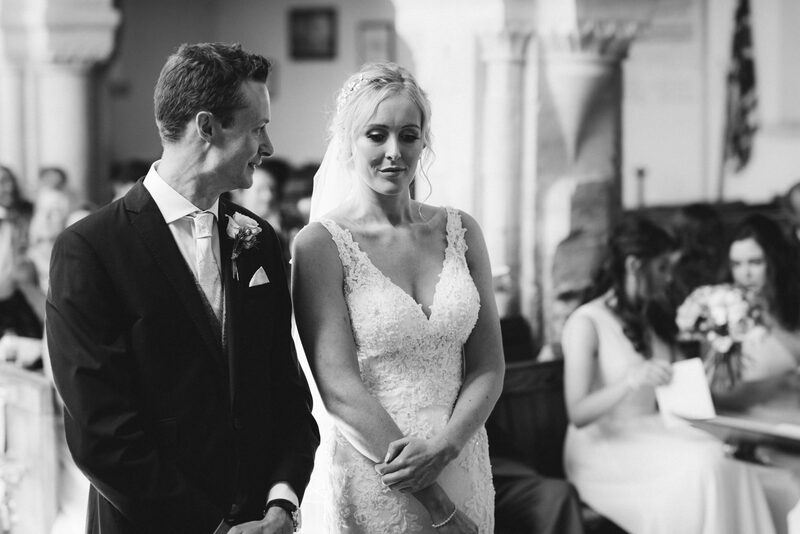 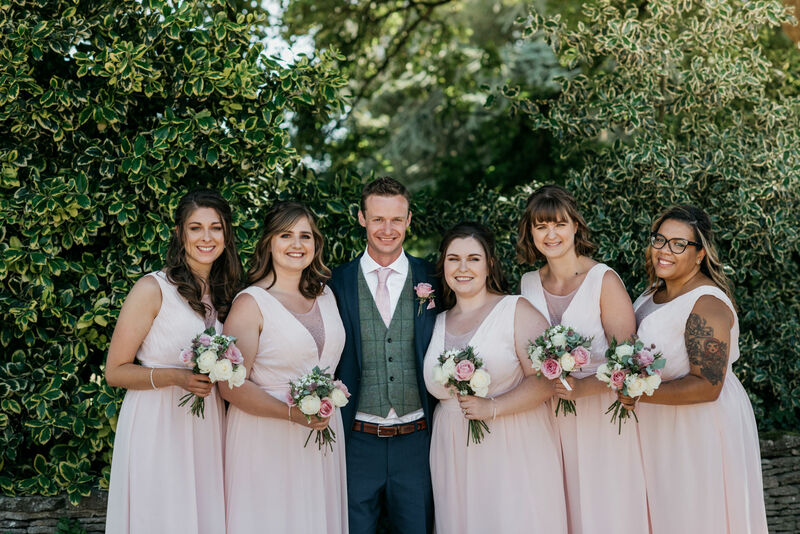 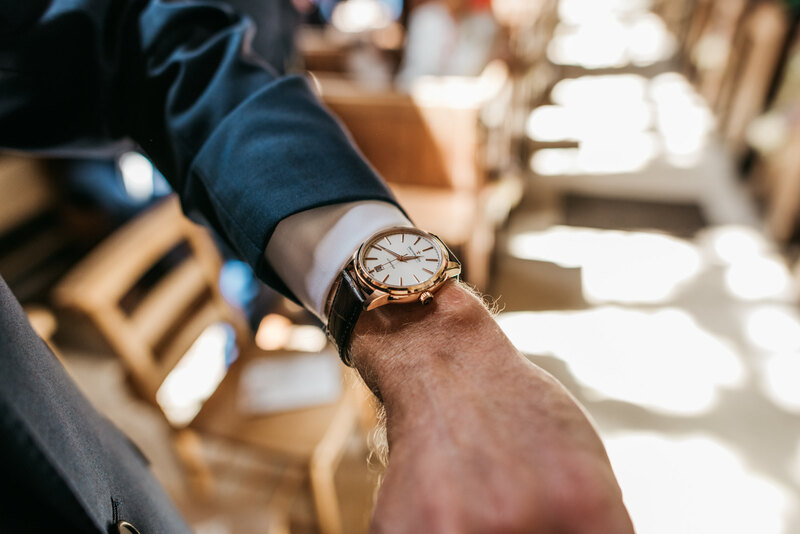 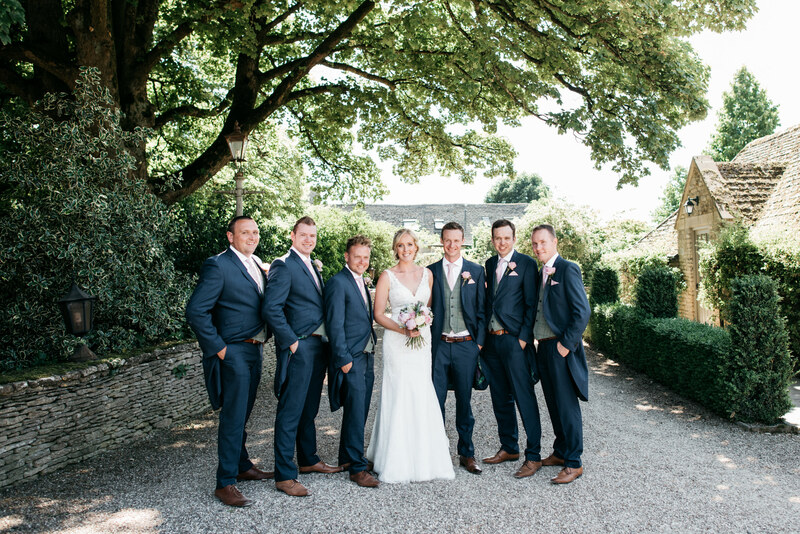 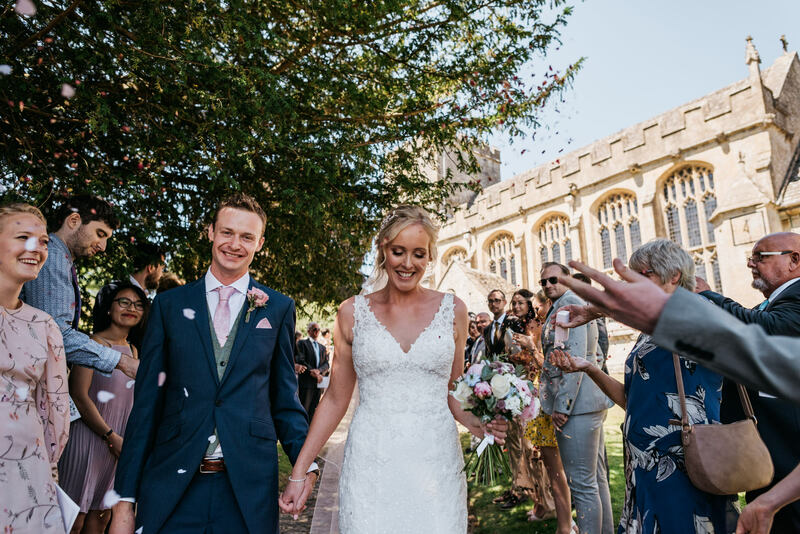 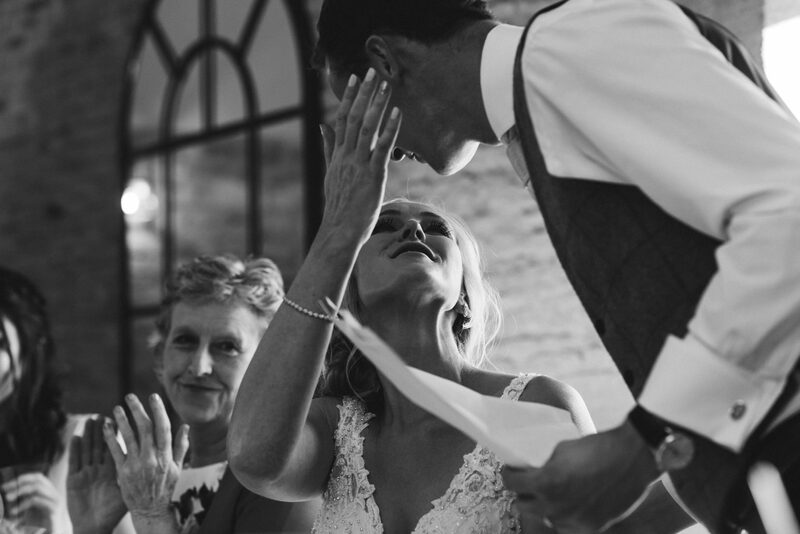 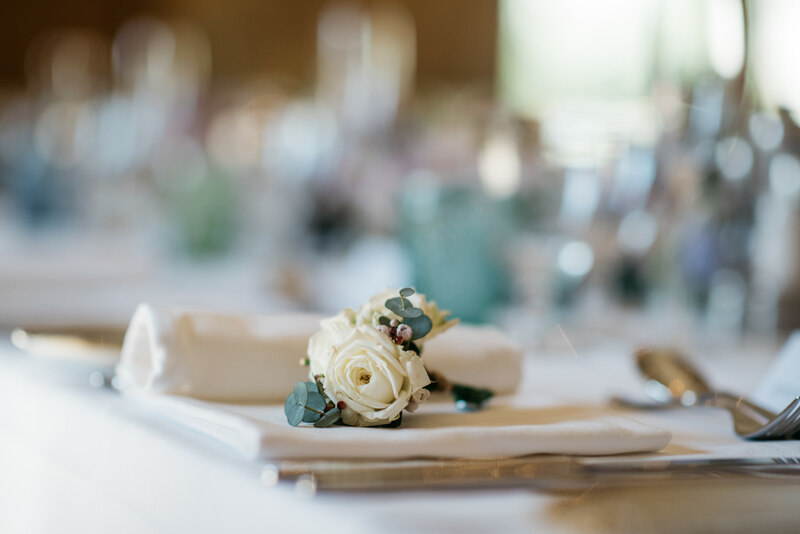 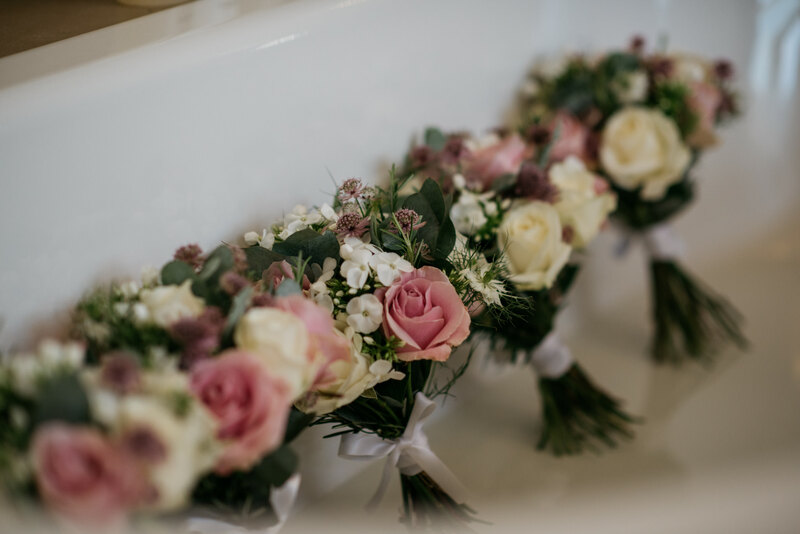 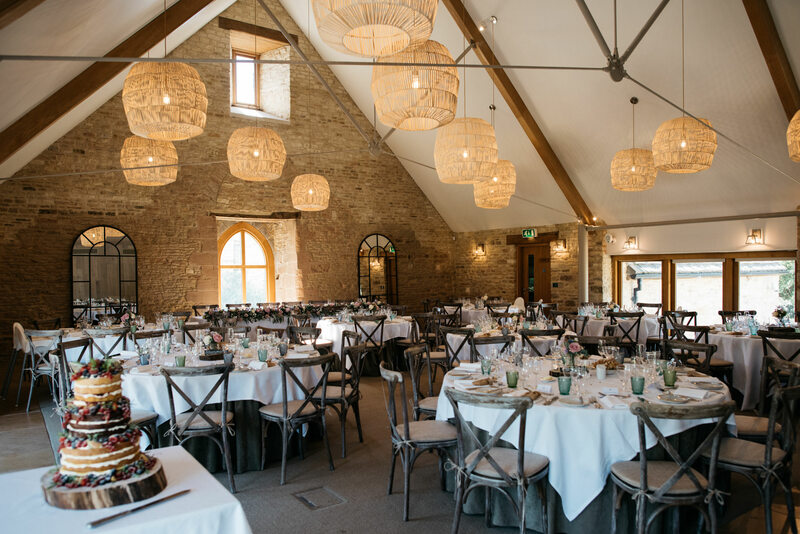 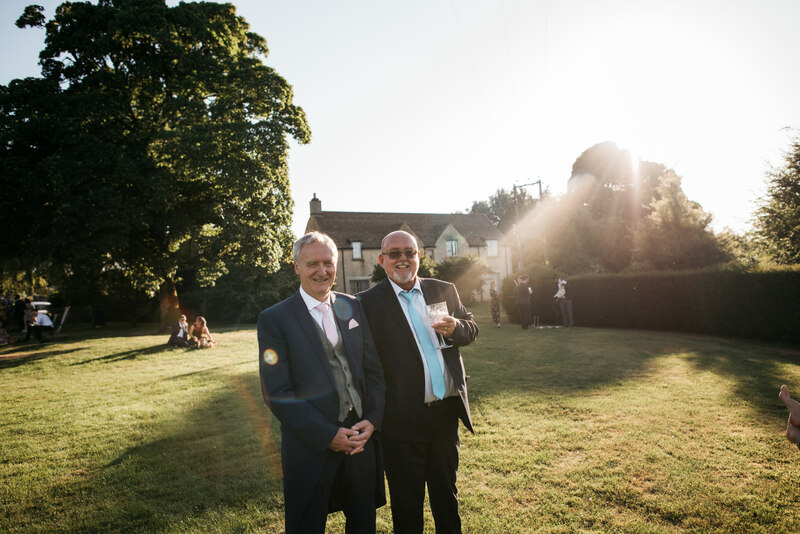 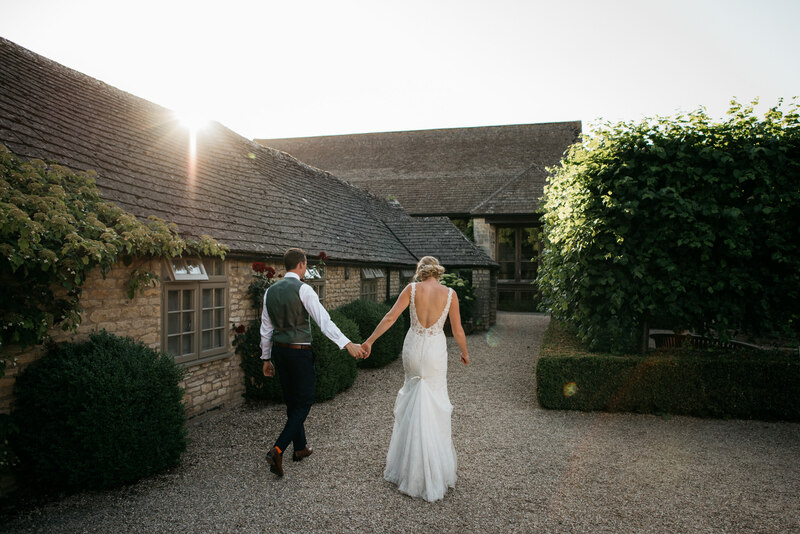 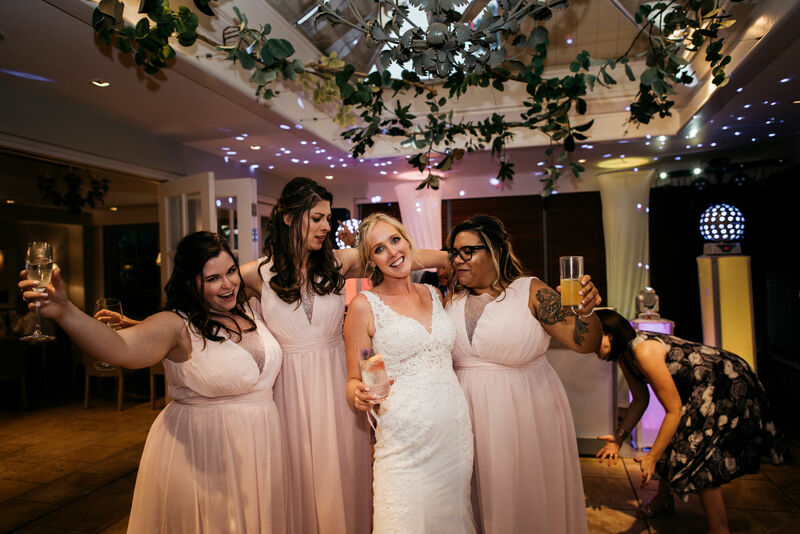 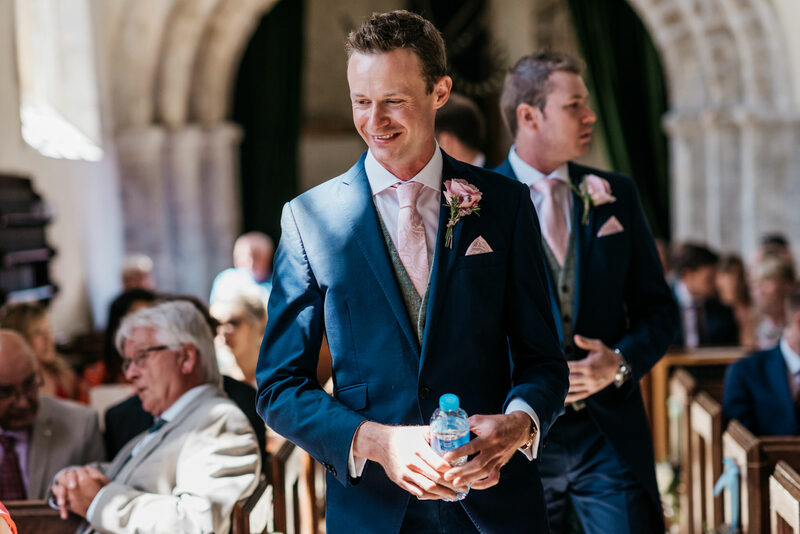 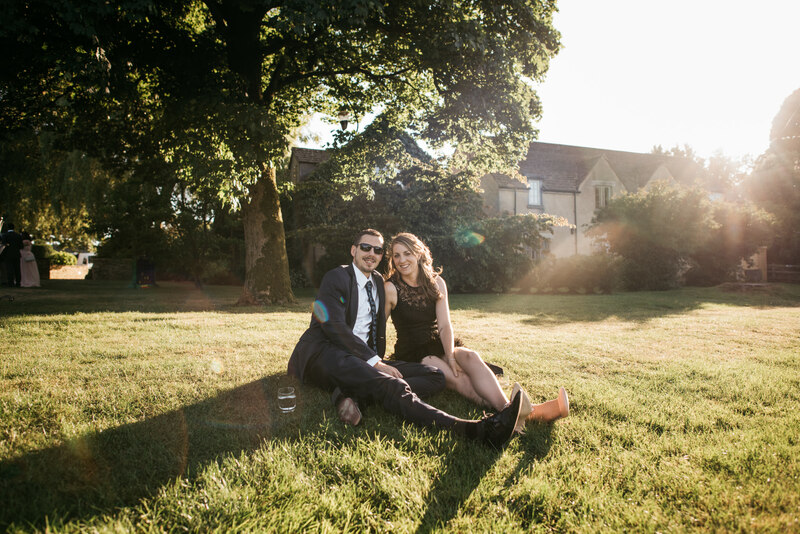 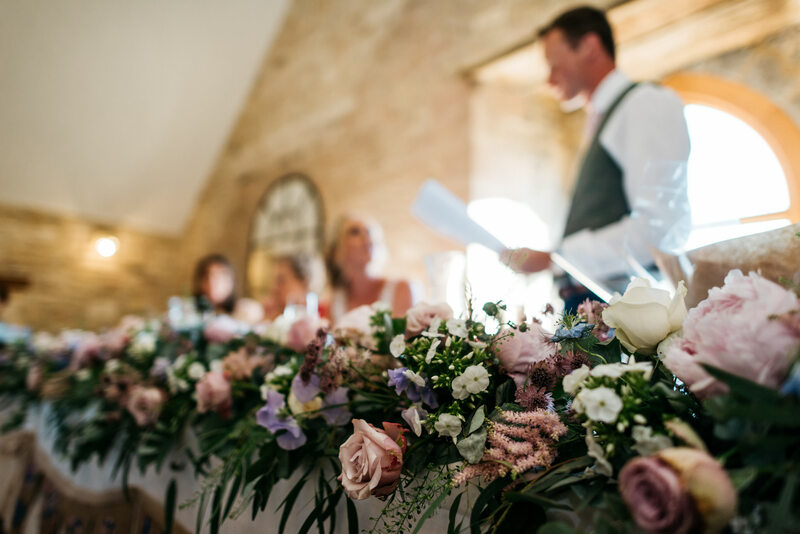 A Calcot Manor wedding is a unique way to celebrate your Big Day in chic and elegant style. 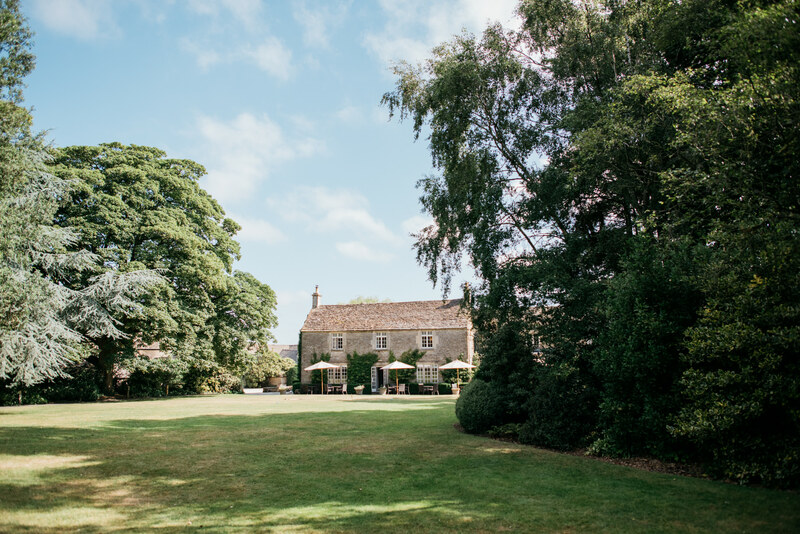 Calcot Manor and Spa is set in the beautiful Gloucestershire countryside, near the gorgeous town of Tetbury. 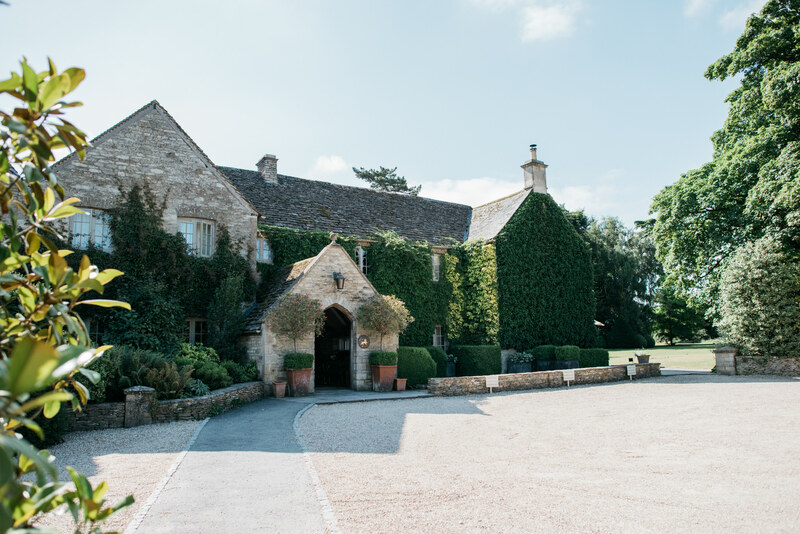 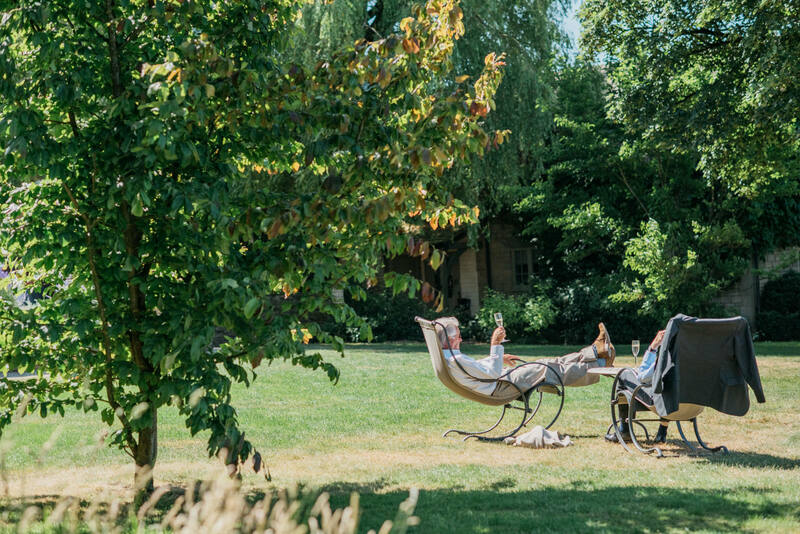 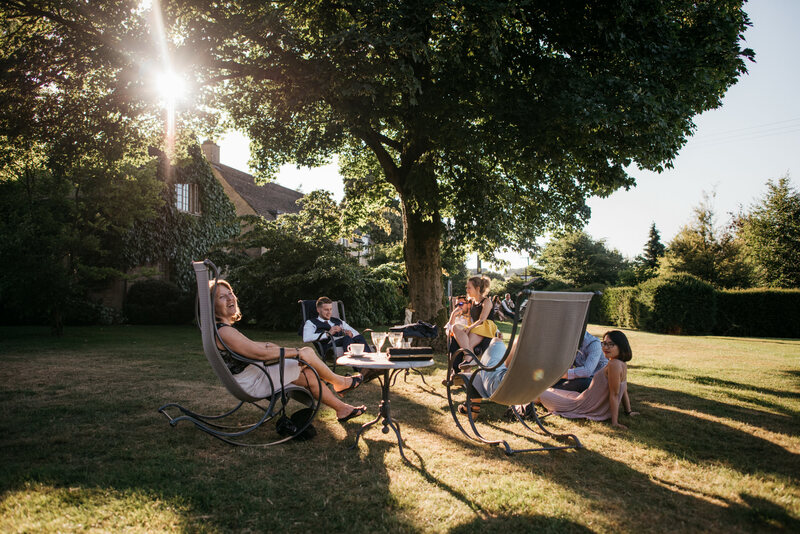 The hotel is a 14th Century country house and the converted Barn is set alongside a pretty courtyard of lime trees and ancient stone barns and stables, built by 14th-century Cistercian monks. 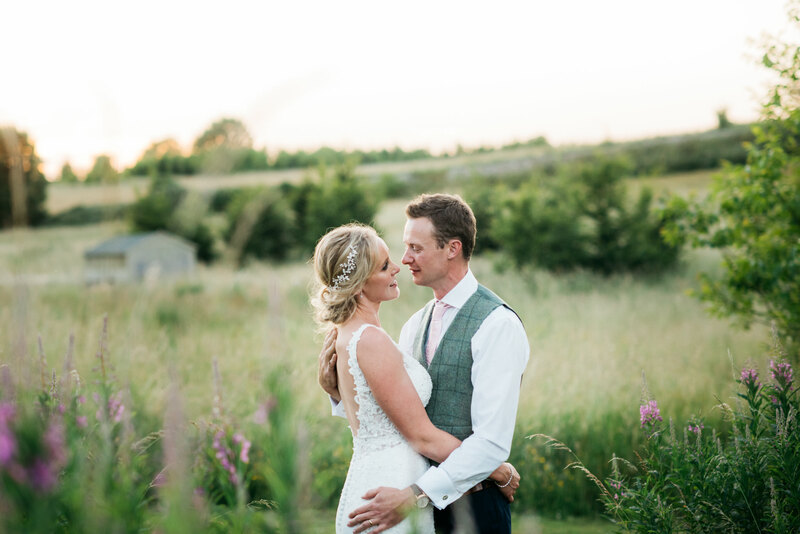 Calcot Manor offers only a limited number of weddings per year, so it was real privilege to shoot Sophie and John’s stunning summer wedding at this beautiful and unique Cotswold wedding venue. 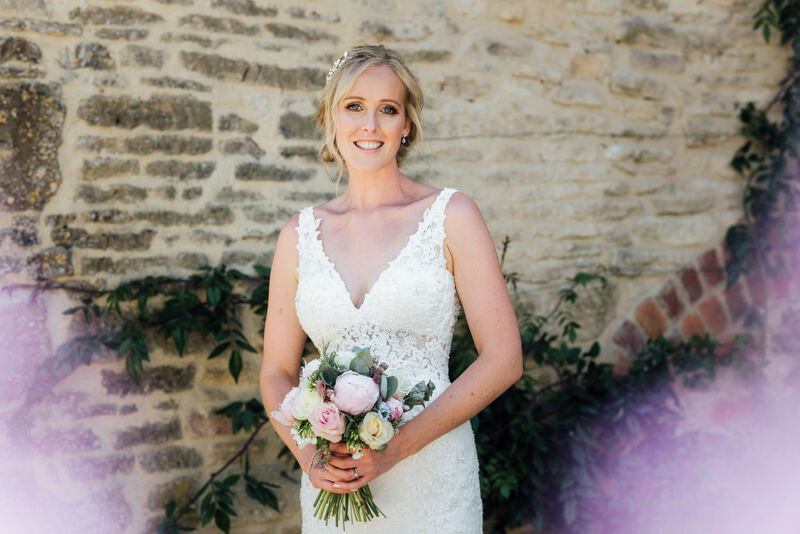 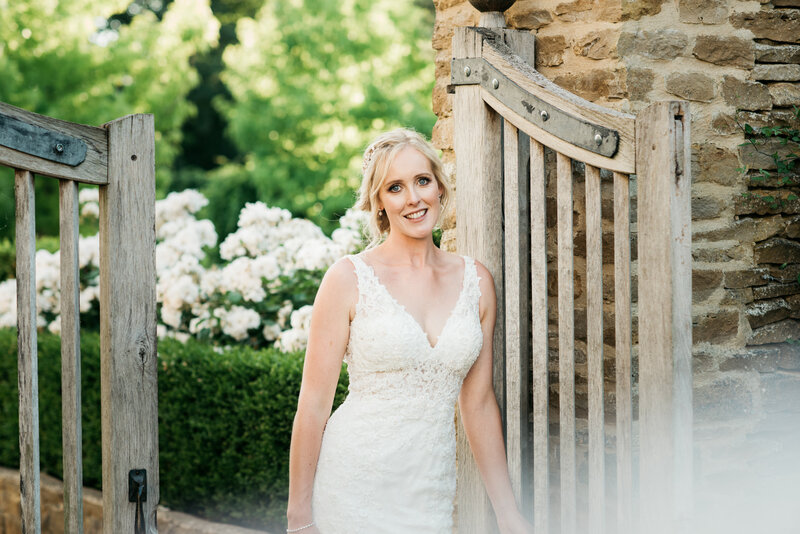 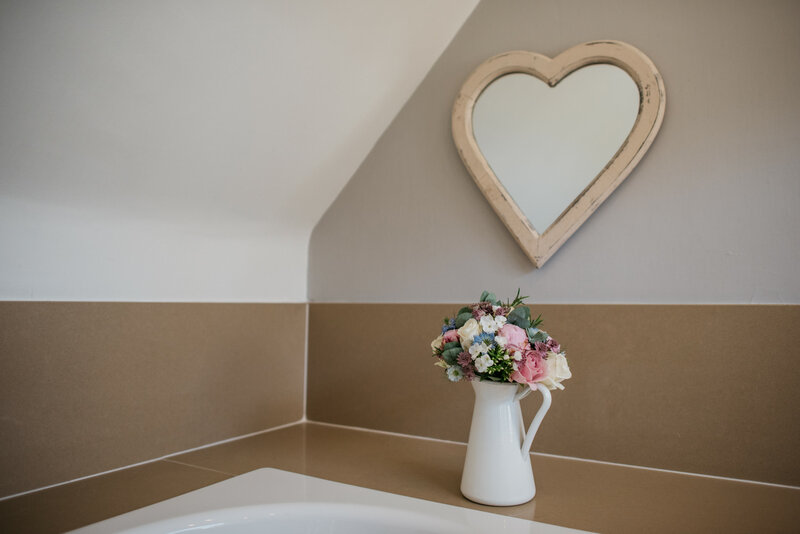 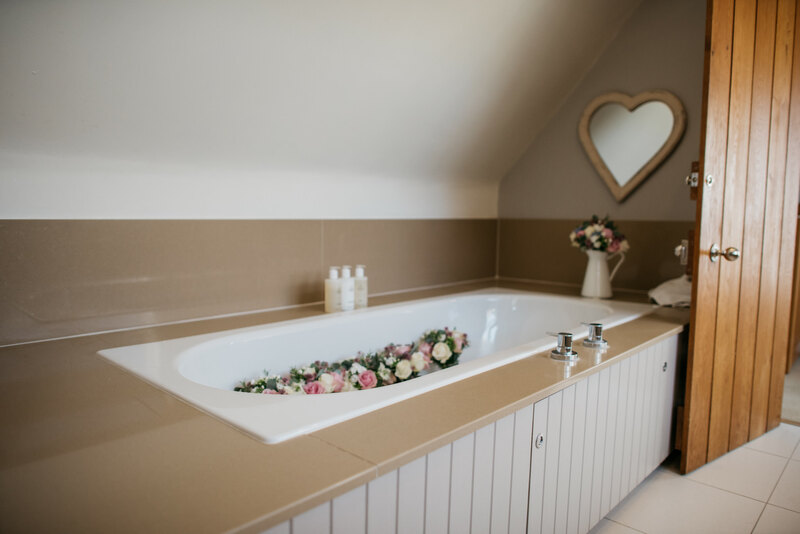 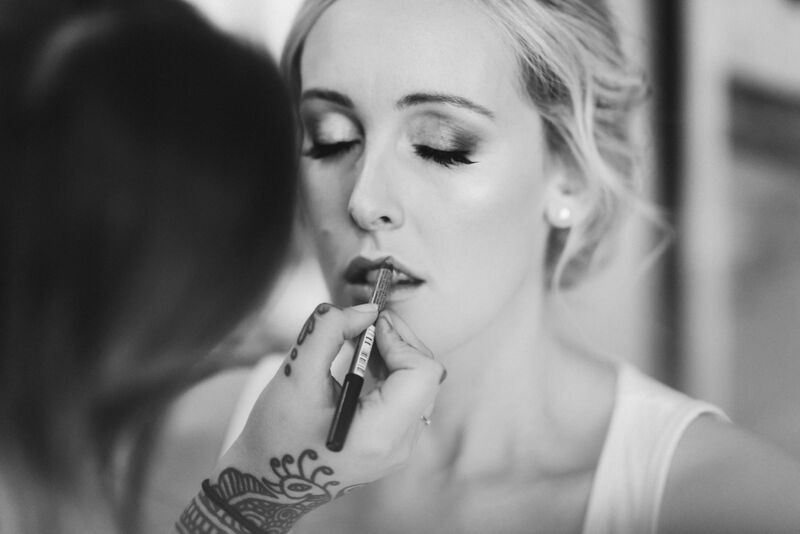 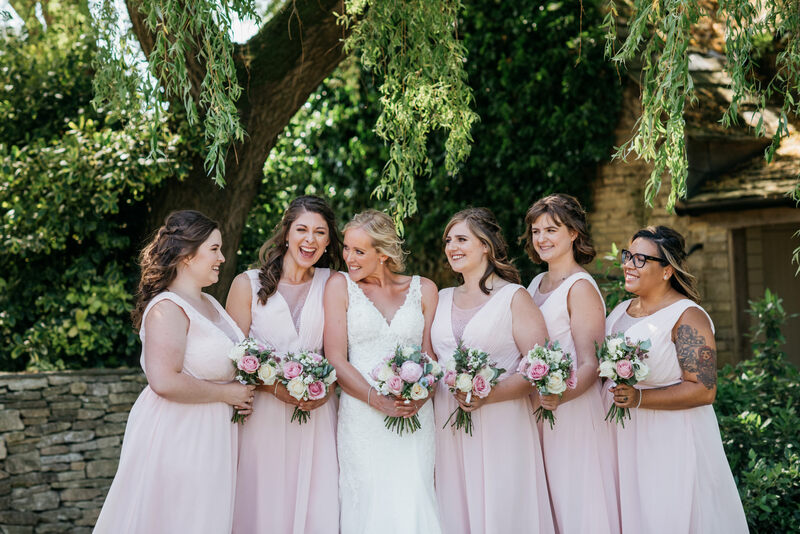 Sophie got ready in one of the gorgeous cottages, surrounded by her beautiful bridesmaids. 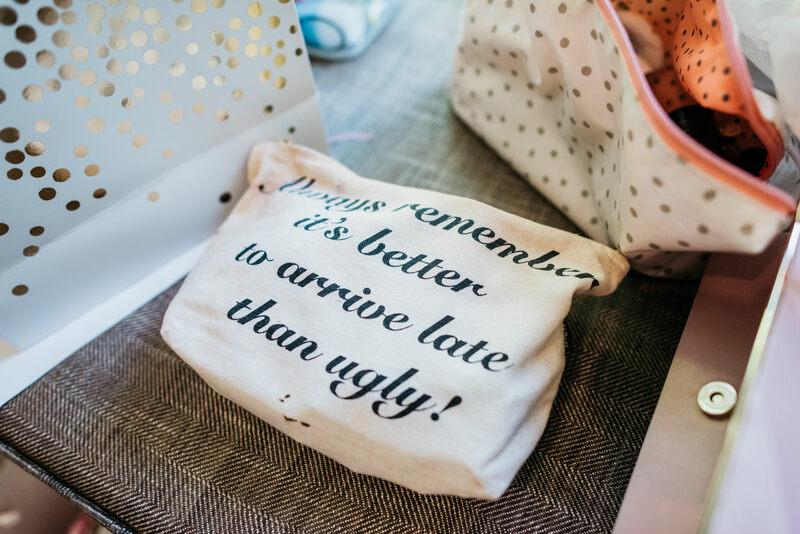 The morning was a buzz of ‘getting ready’ vibes. 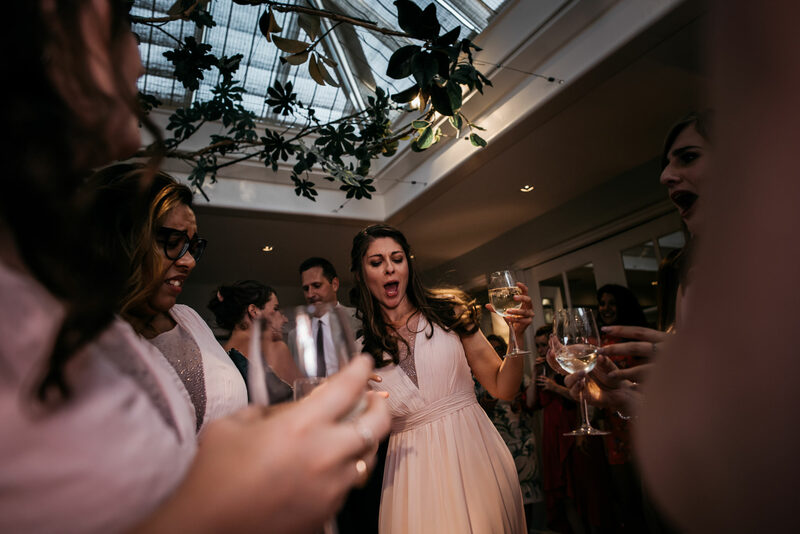 Excitement filled the air. 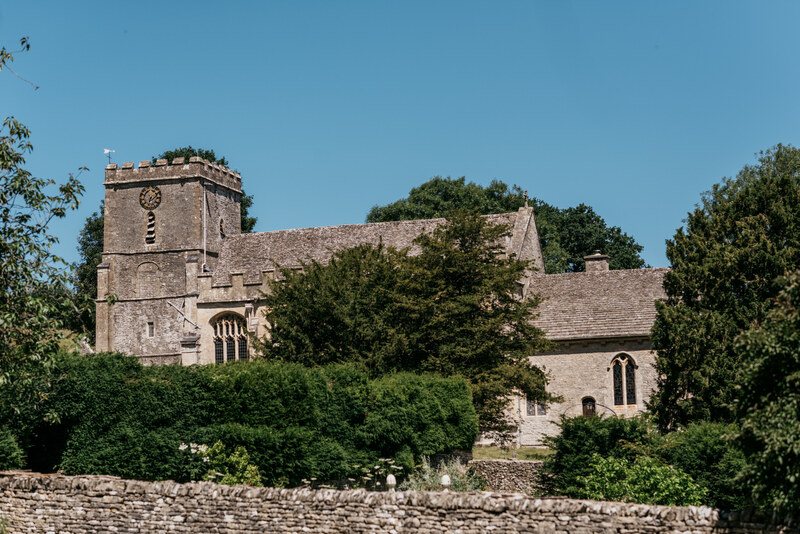 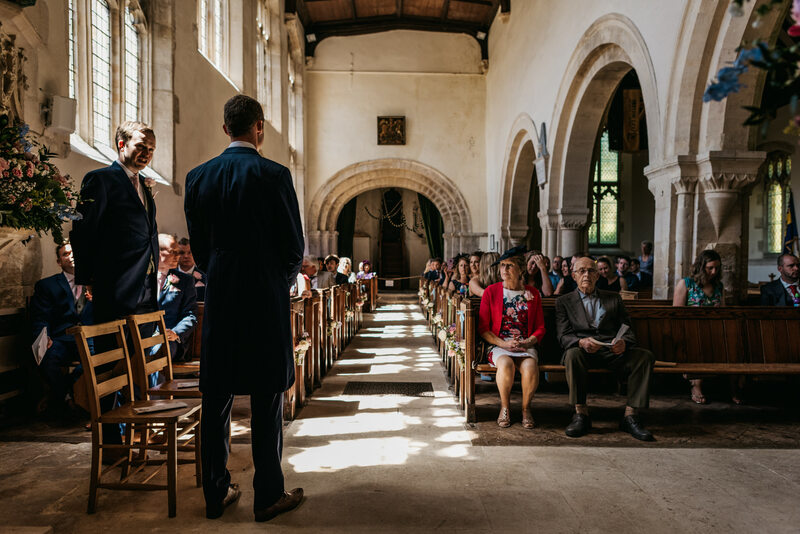 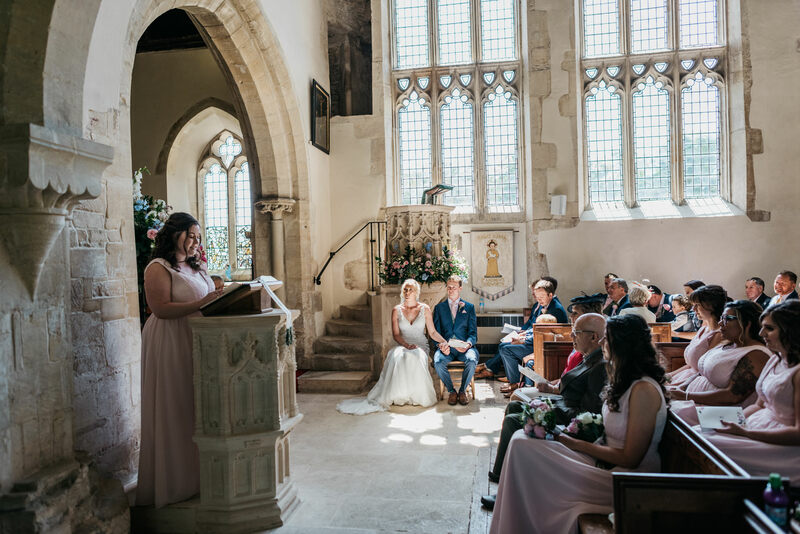 The actual ceremony took place at medieval church of St Andrew’s in Chedworth , about 10 miles down the road towards Cirencester. 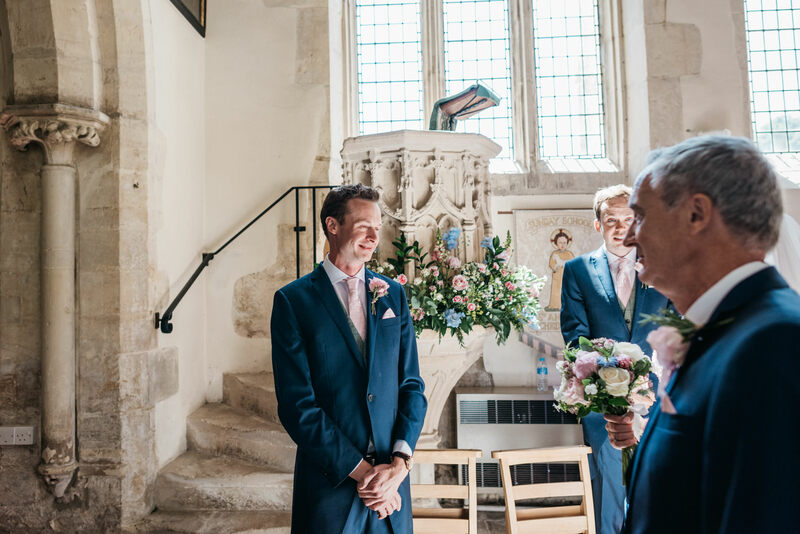 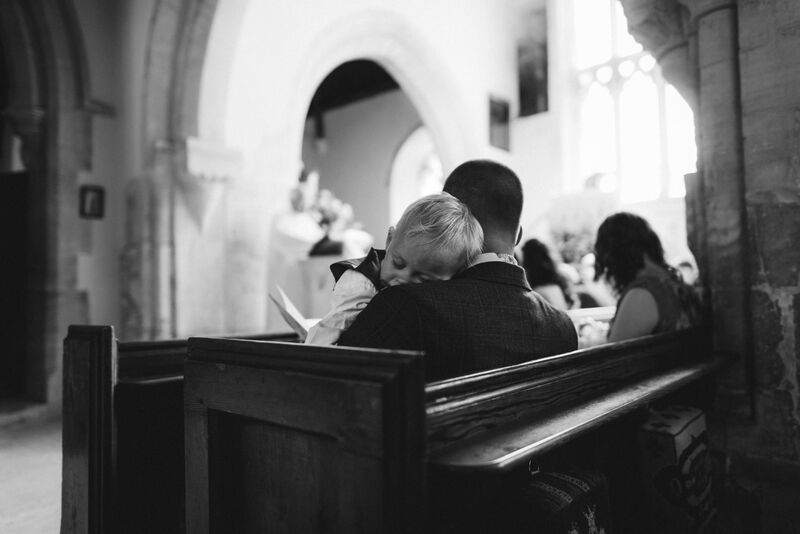 After photographing bridal prep at Calcot, i drove to St Andrew’s where John was waiting with his groomsmen. 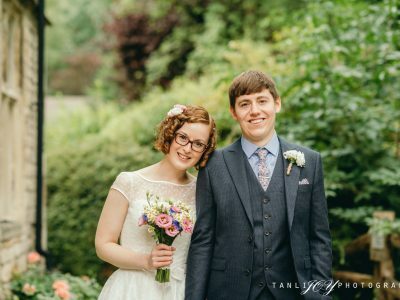 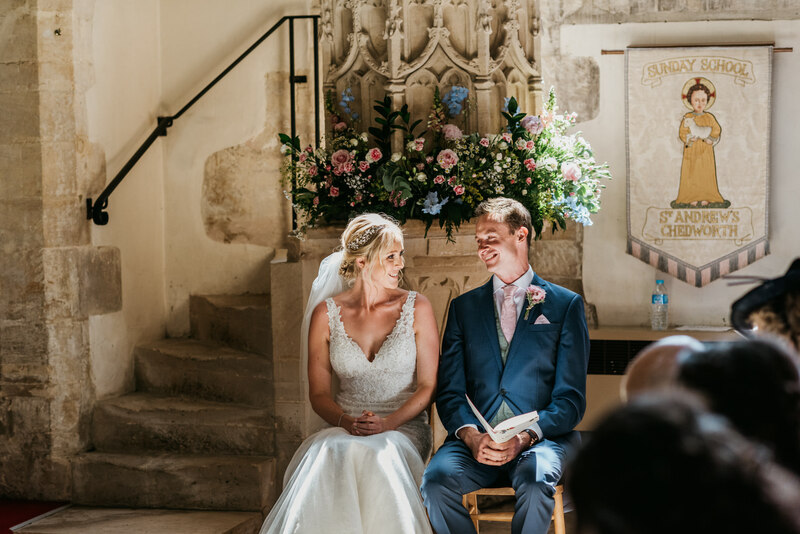 St Andrew’s church is absolutely stunning and the grounds, quite breathtaking, so it was just the perfect setting for a lovely summer wedding ceremony. 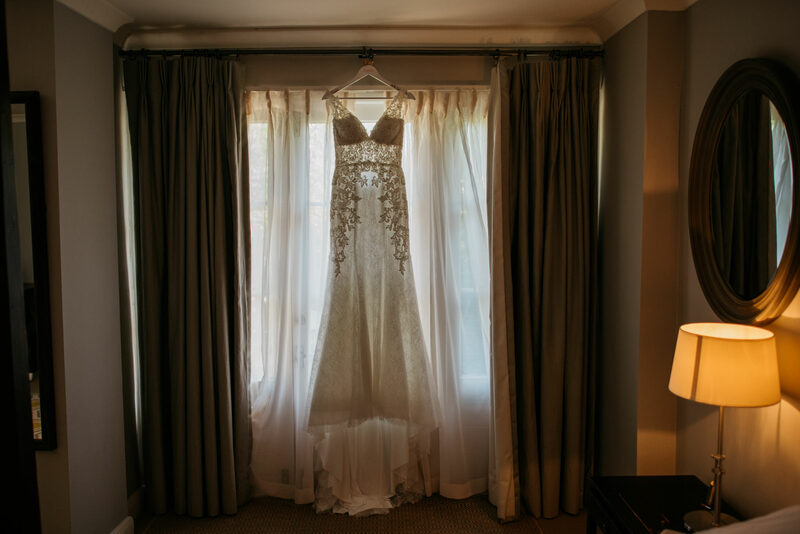 Sophie looked so beautiful walking down the aisle, bathed in the beautiful window light streaming in from the large stained glass windows. 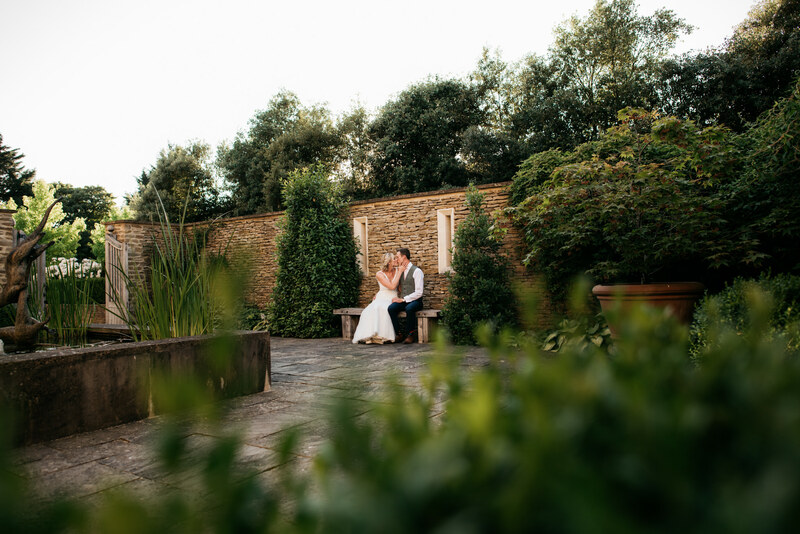 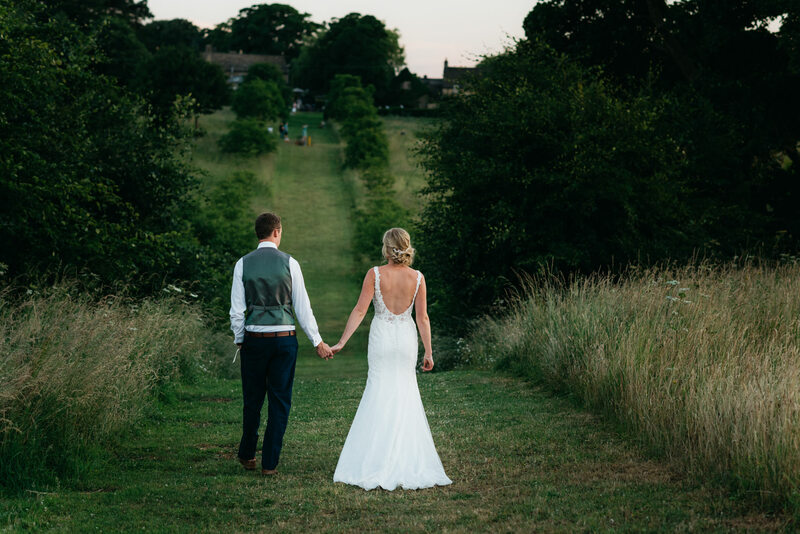 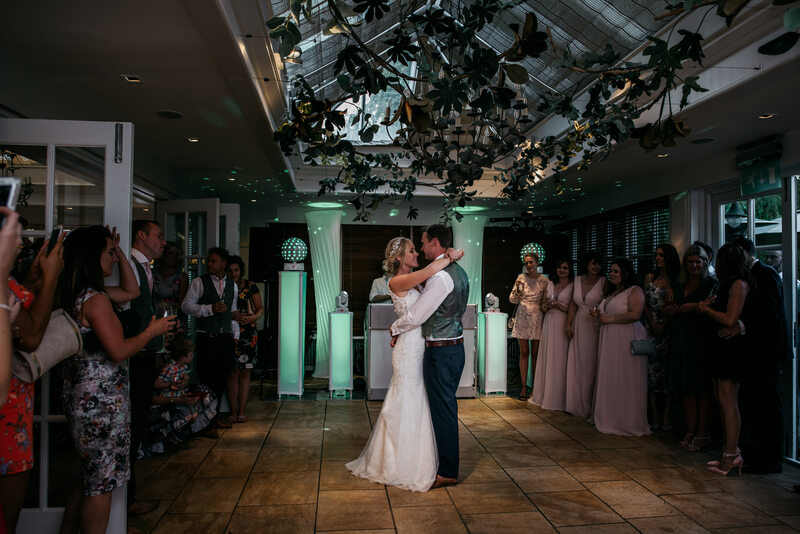 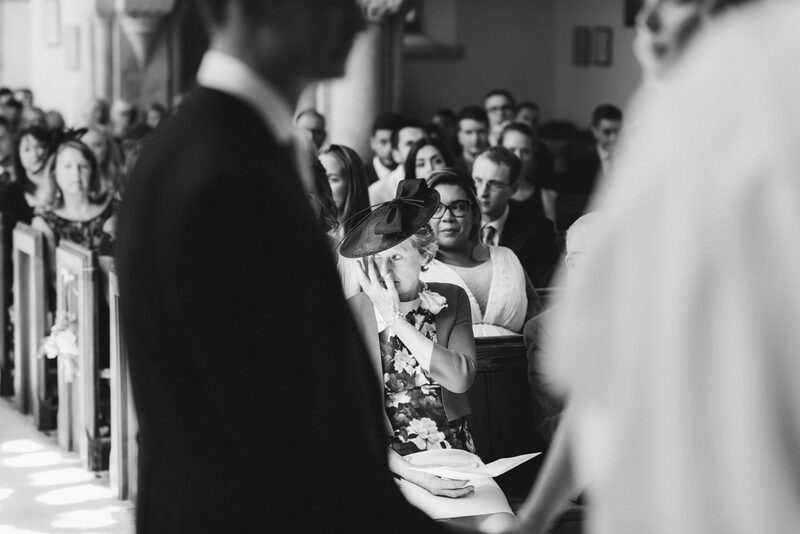 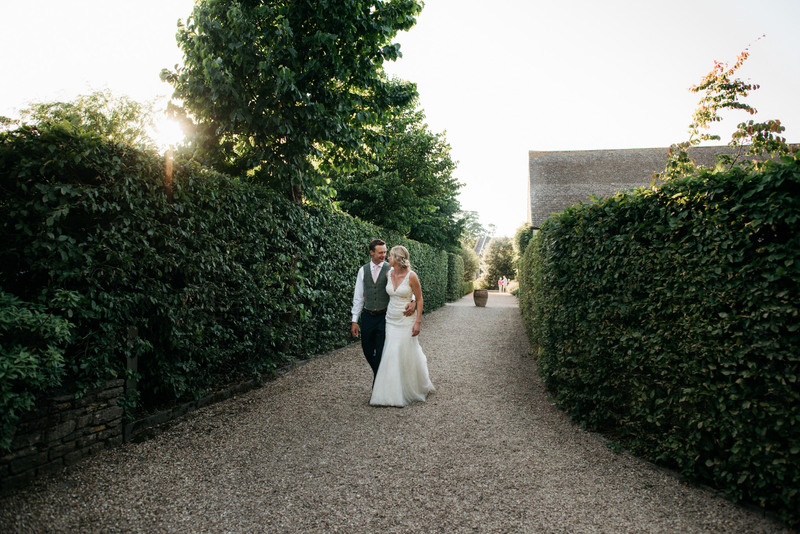 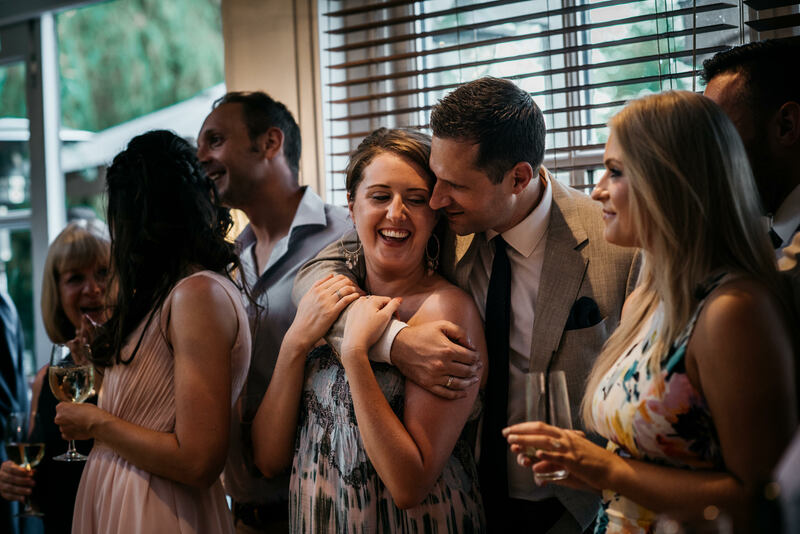 A short while later the happy couple said ‘I do’ and we headed back to Calcot Manor for the wedding day celebrations. 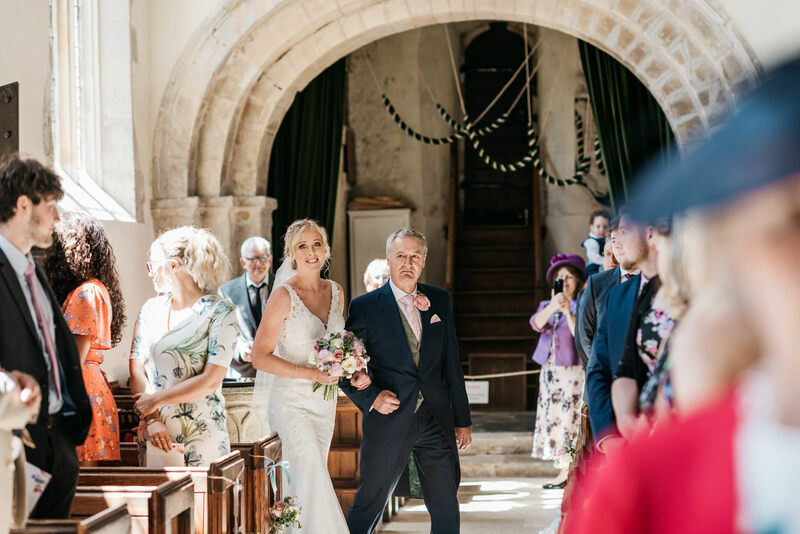 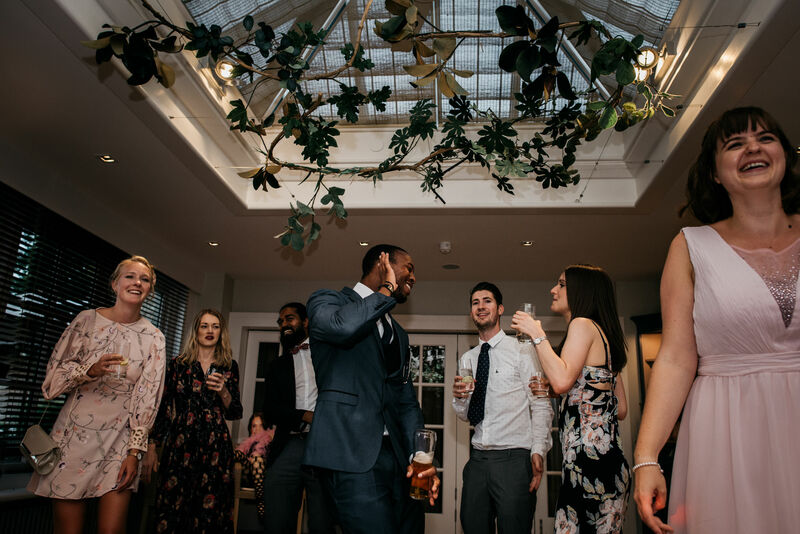 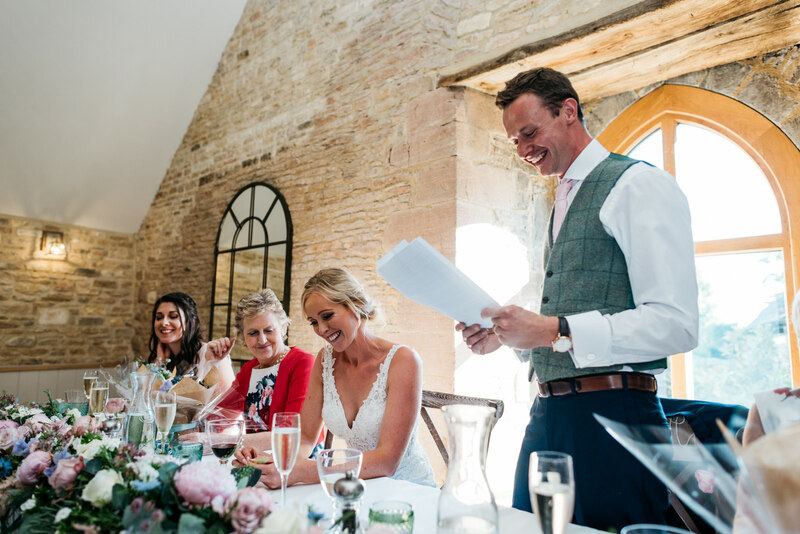 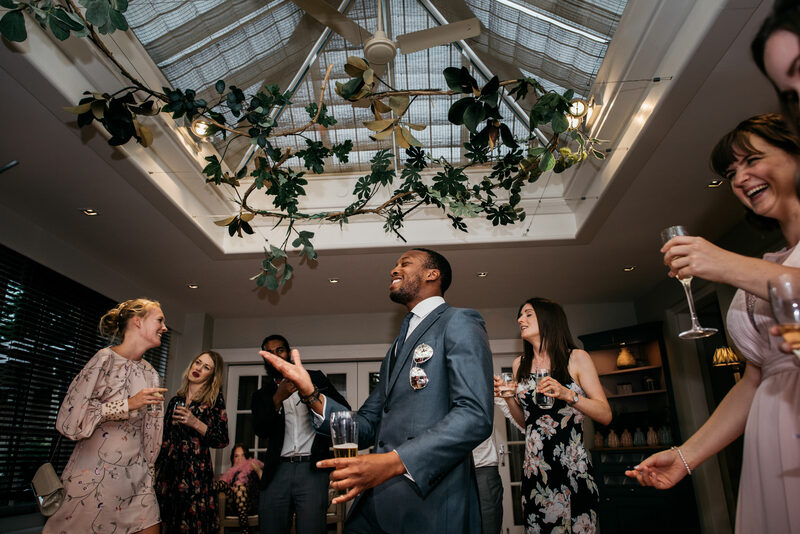 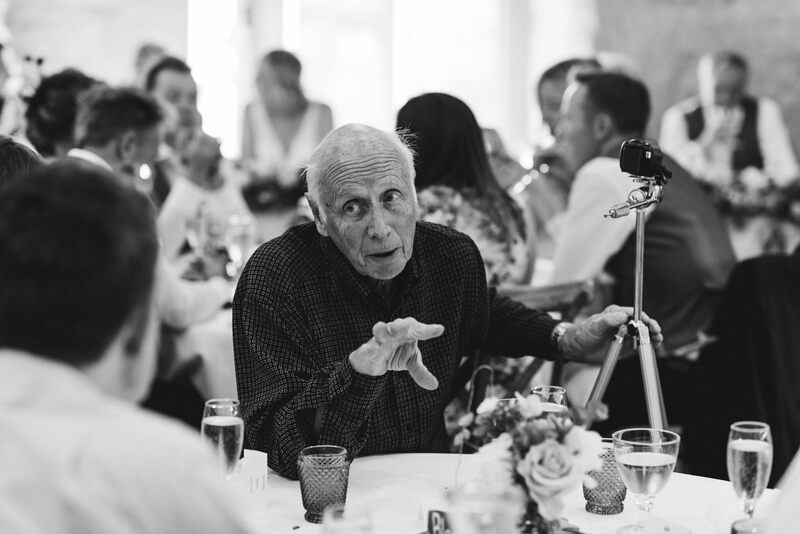 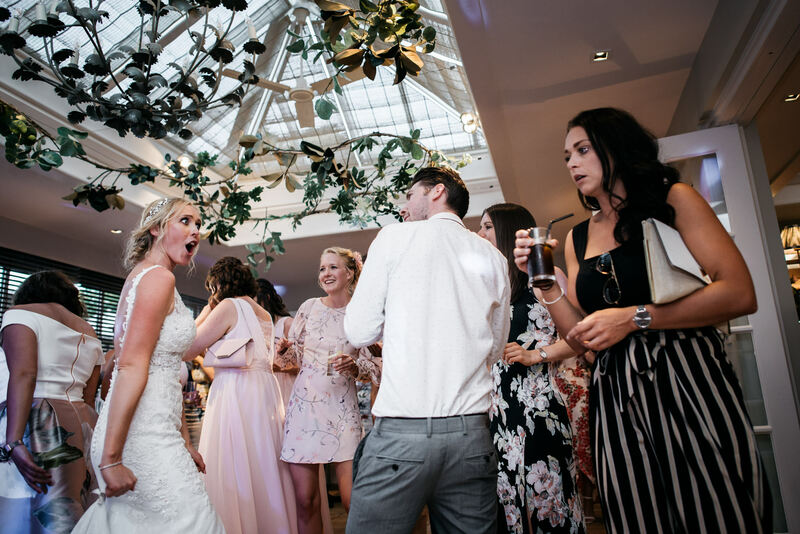 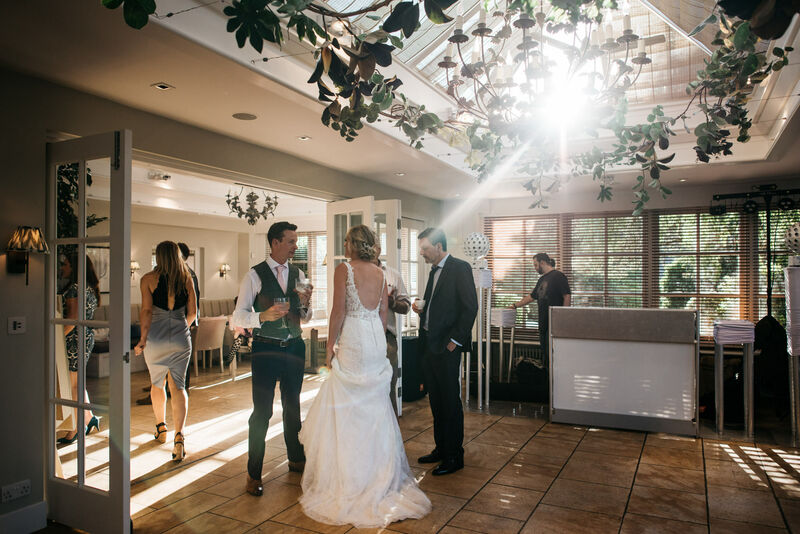 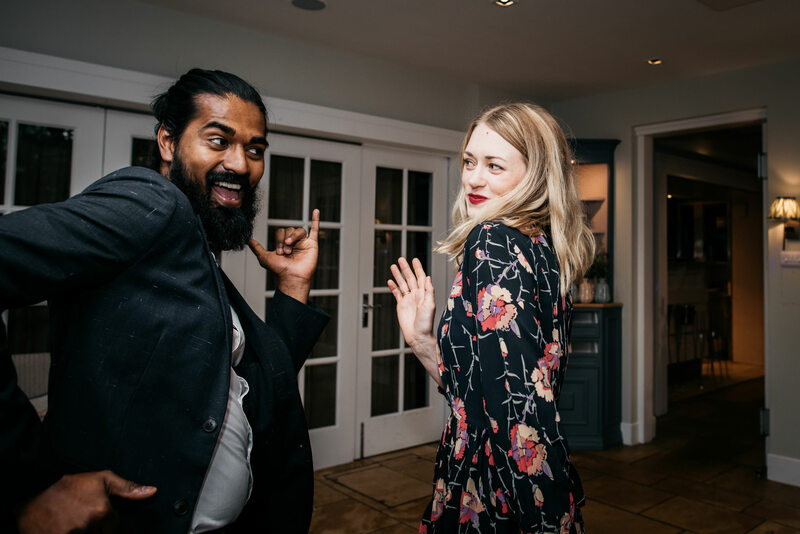 The wedding breakfast took place in The Loft, a stunning and atmospheric room with exposed historic stone walls, soaring ceilings and large windows letting in lots of gorgeous natural light. 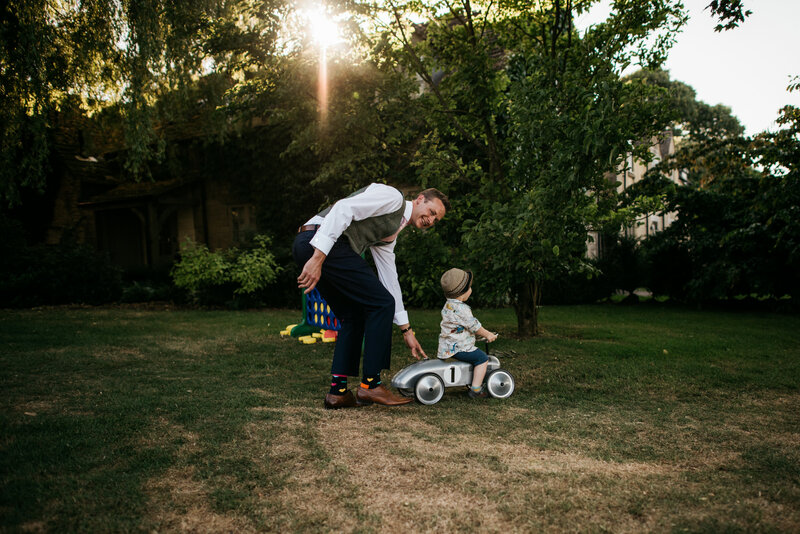 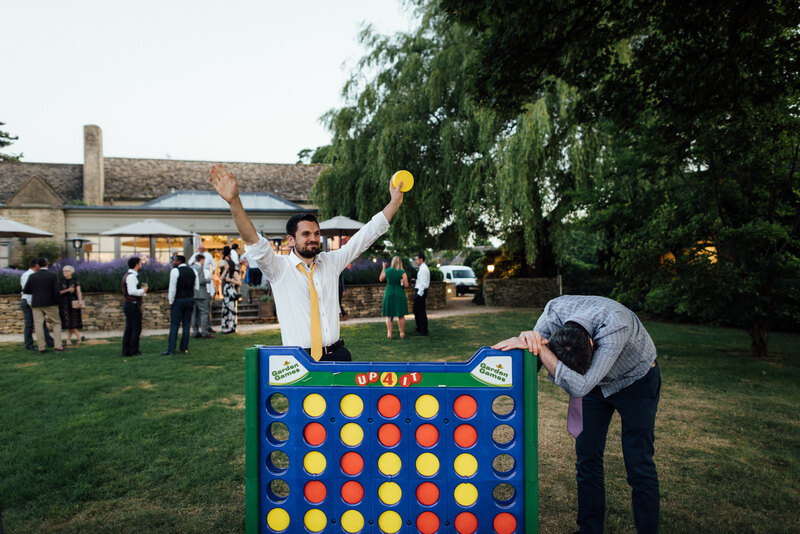 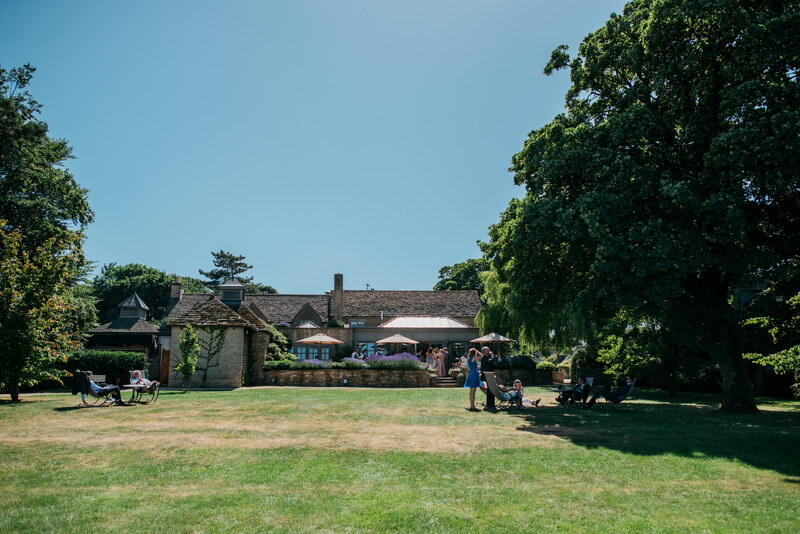 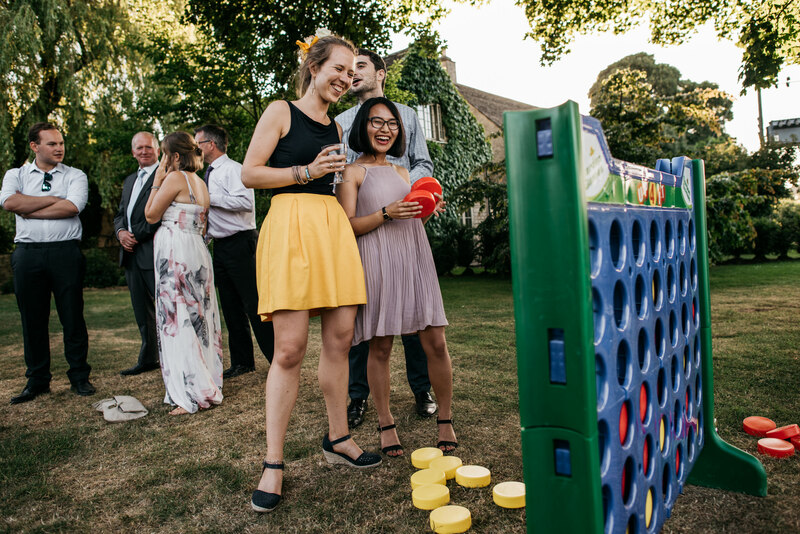 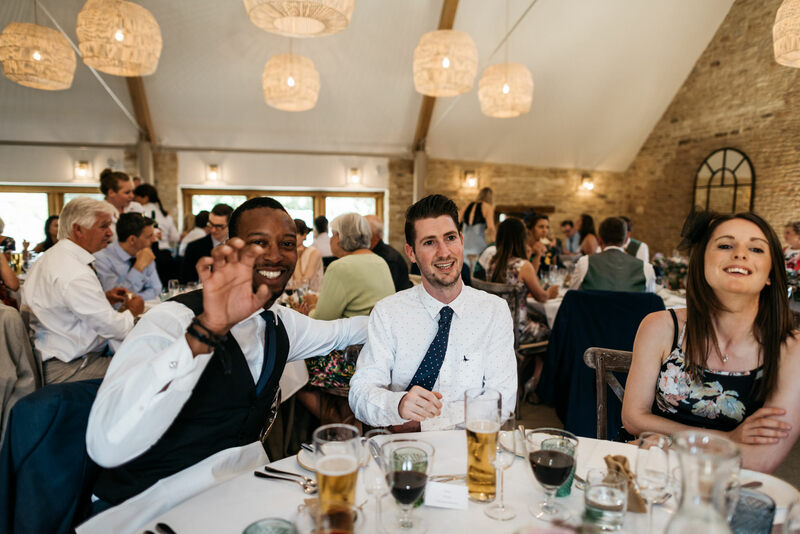 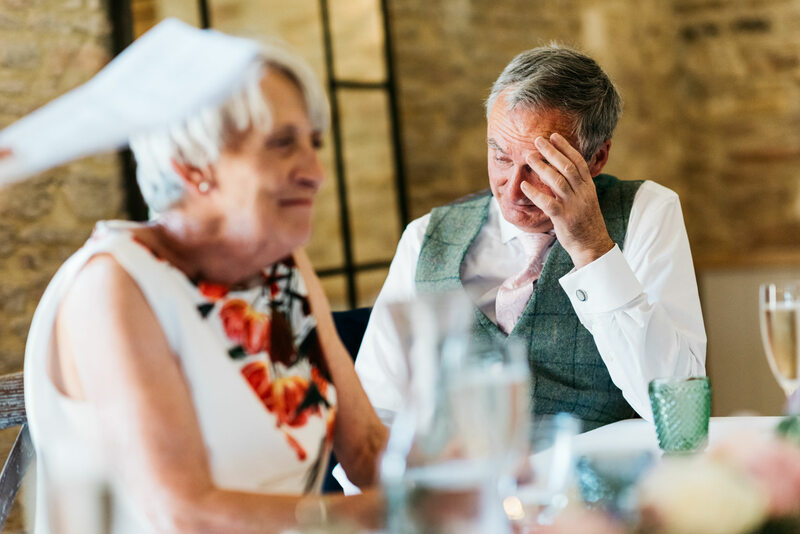 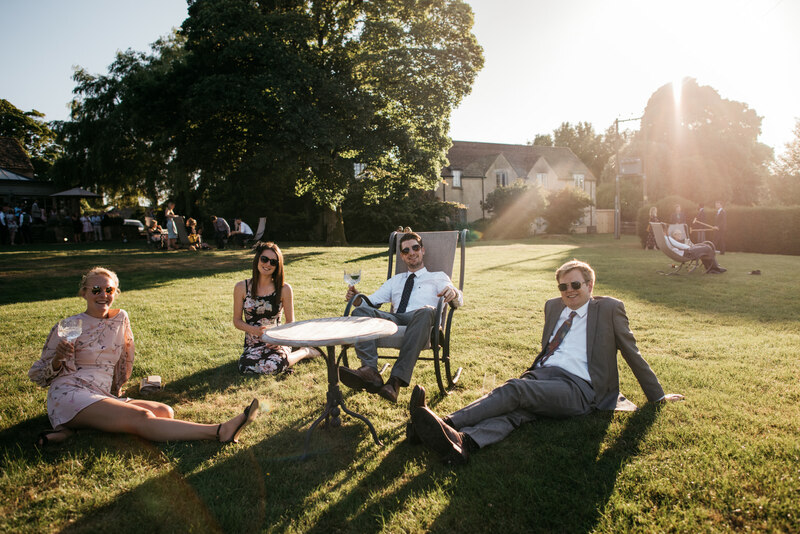 After the wedding breakfast, the guests moved over to the Consevatory where they enjoyed garden games on the lawns overlooking the rolling Cotswold countryside. 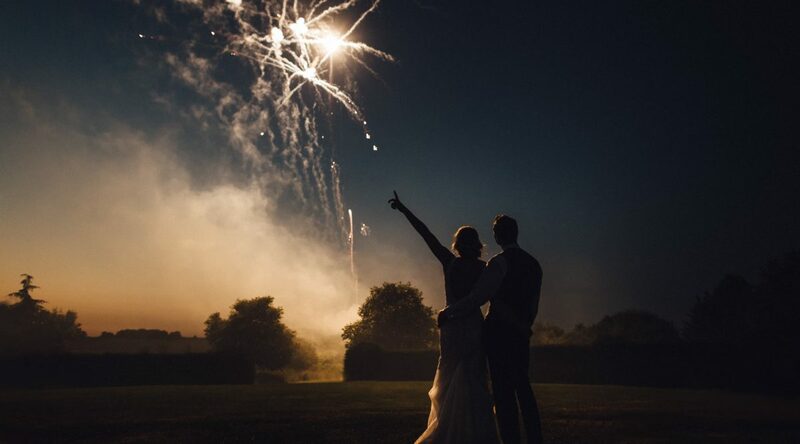 A little while later it was the first dance followed by the most epic firework display I’ve ever seen, resulting in one of my most beautiful photographs to date (scroll right to the end to see it). 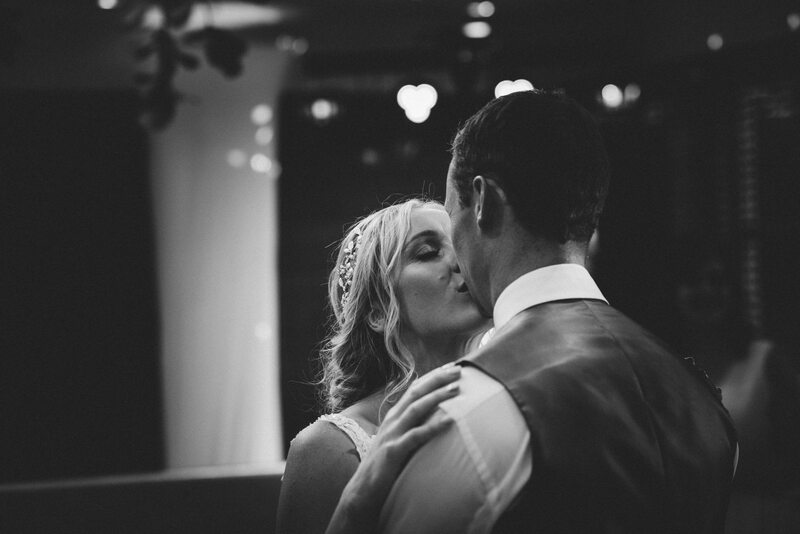 It was truly a privilege to shoot at such a beautiful and exclusive venue and I hope to be back in the near future . 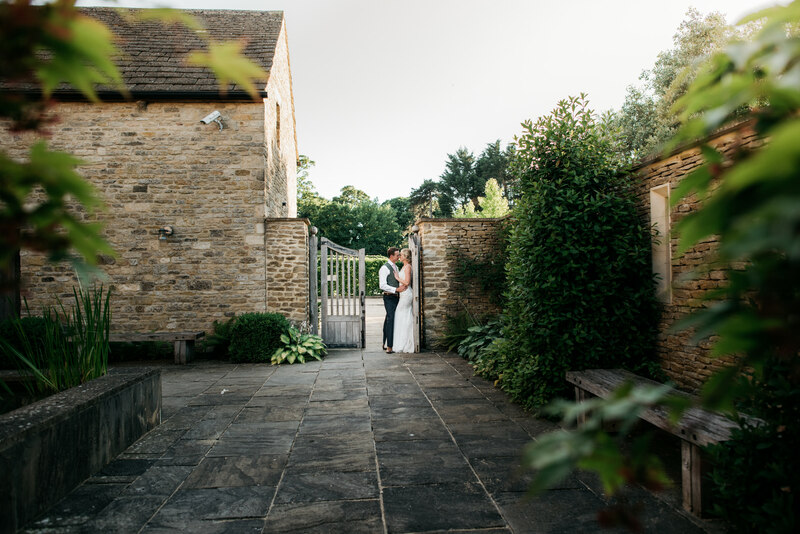 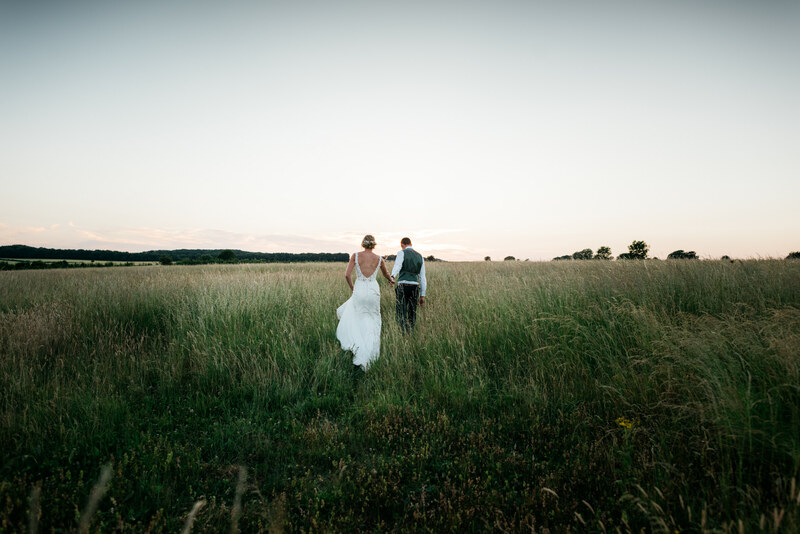 If you are having a Calcot Manor wedding, I’d so love to hear from you.